In our effort to be full service, I am posting a new governmental position for any of our contributions looking for gainful (baneful?) employment. 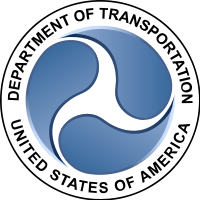 I saw an interesting item on Reddit for a position with the Department of Transportation of “Associate Administrator for Administration” at the Department of Transportation. Now that is a bureaucrats dream — administering the administrators. I’m sorry, Noah and HenMan, but could you repeat that? I think your comment is redundundundundant. My experience in the Redundancy Department of Redundancy might qualify me. Kderrhoid as victim? Maybe he does have a sense of humor- in a vestigial sort of way. If only I hand’t fed the dog the hamburger, the dog would not have gotten sick and thrown up on the carpet, things would have been just fine. I guess I was being a little subtle: I didn’t want you mentioning KDE because it would drag him into the conversation. Prof. Turley’s one request is that in return for getting to read and comment on his blog posts, we act like adults and handle ourselves civilly. In practice that pretty much amounts to any amount of passionate discussion of ideas, but self censure when it comes to how we address those who hold those ideas. It’s tough, but the last couple of weeks aside, we’ve got a pretty good track record. How you act here has absolutely nothing to do with KDE, and everything to do with yourself. The question is, are you the kind of house guest that respects other people’s wishes, or are you the guy tracking in mud and feeding their dog hamburgers after they asked you not to? Since klownderosa has no respect for facts or truth, since he can not be moved when he is shown to be in error I see no reason he should be afforded anything other than a name befitting his behavior. Lets ponder that shall we? @Gyges, are you trying to claim that this isn’t a personal attack? Thank you, Sir Francis Bacon. When I get my first dividend check, your kindness will not go unrewarded. Wait, do not ever try to steal my clowns again. He/She/It is gainfully employed at circus-circus. Have you ever considered a career as a soccer player?